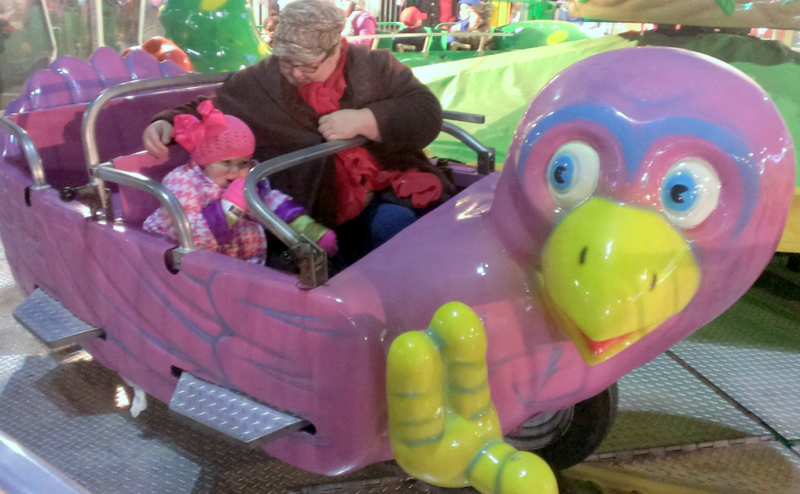 Ya’ll, Rhema was so excited and wanted to ride “the elephant”!! We let her watch a few folks ride and talked to her about it to be sure she knew what to expect. 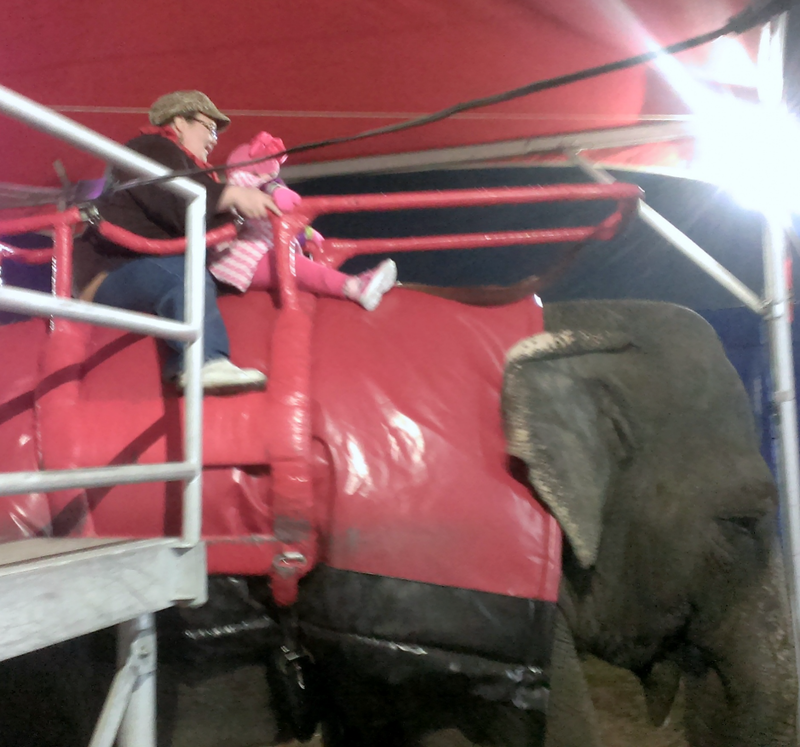 She kept hopping up and down and yelling “I want to RIIIIIDE!” So, momma and Rhema rode the elephant! It was amazing!!!! Rhema was all-in and did not hide or act afraid at all. It is truly a memory I will never forget; Betty was so gentle and such a beautiful elephant. We stayed for a while after our ride to talk to Betty and watch her ride other passengers. It was so fascinating! I’m so glad that Rhema instigated it because I got to do it with her; it was an awesome experience. 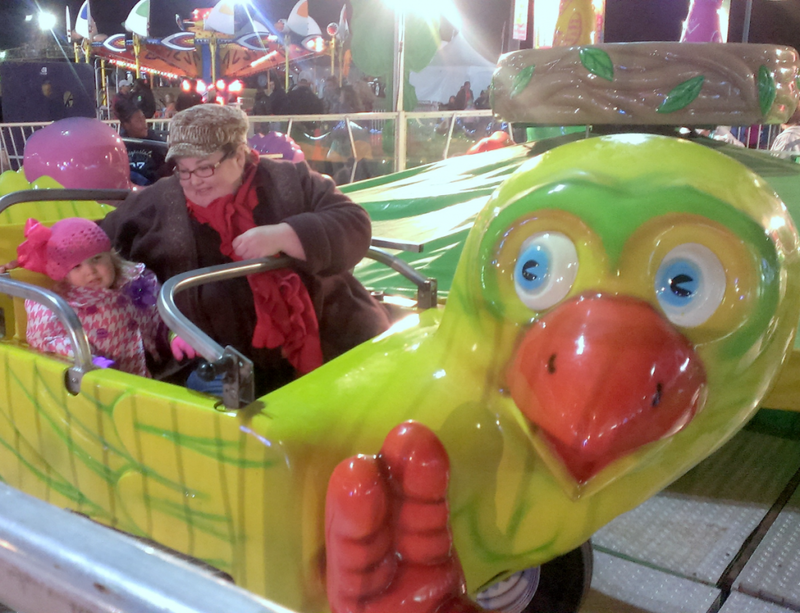 TWICE….. she wanted the yellow first and then the pink…. Yup, she’s got lots of opinions and will tell you! 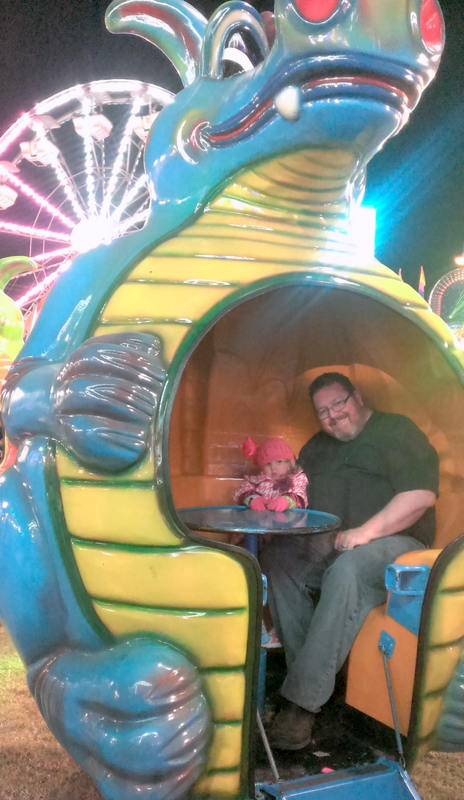 Even Daddy got to ride with Rhema on the dragon ride! We went to the exotic animal zoo; all eyes were on us as we had the coveted cup-o-carrots! 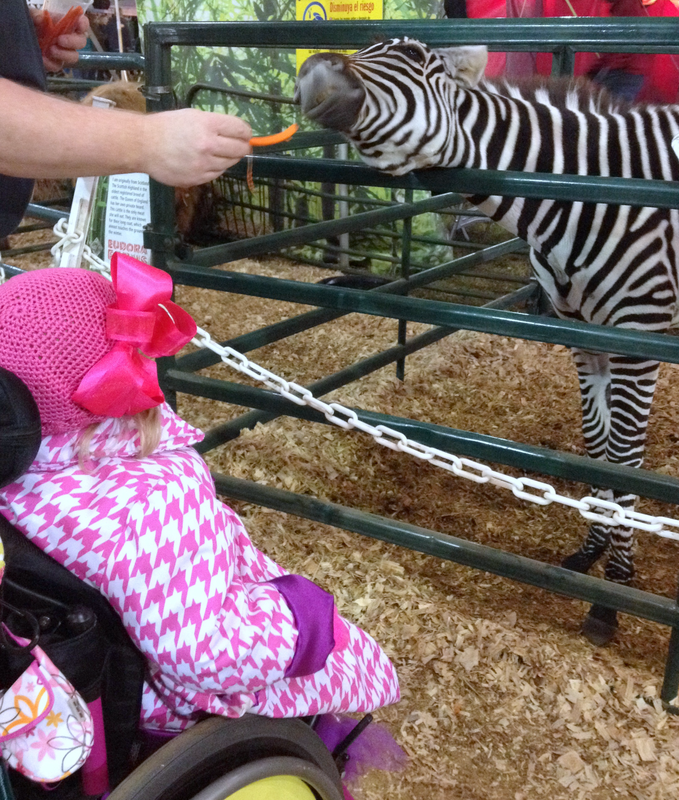 Rhema’s favorite was the Zebra! 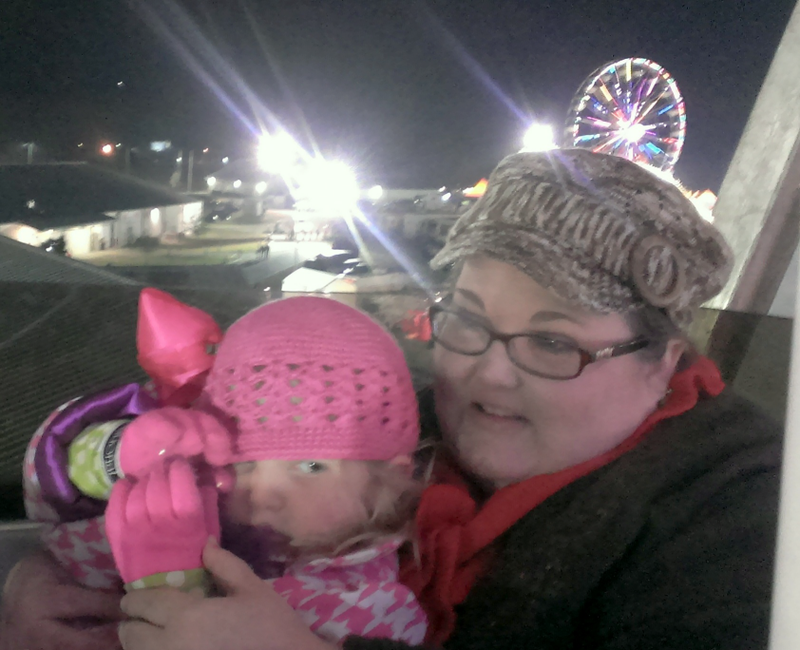 We rounded out our night with a ride on the Ferris Wheel per Rhema’s request. She sort of like it but hid her head much of the time. When we were almost getting off she looked at me and said, “I want my wheelie”! LOL! 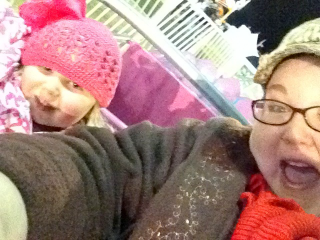 She was ready to get off this ride! Rhema trumpeted our exodus all the way out on her new toy trumpet! LOL! We had a wonderful time at this year’s fair! Rhema constantly amazed us at her progress compared to last year; who know what she will be able to do next year! Maybe she will pick up a duck herself or hold the fishing pole to get another toy trumpet prize. Can’t wait to see!